New flights to Switzerland take off from Inverness next summer. Highlands and Islands Airports (Hial), the terminal’s owner, said yesteday a new weekly service to and from Zurich would start on July 3. Operated by Edelweiss Air, part of Swiss International Air Lines (swiss), the new direct route will allow passengers to reach Switzerland’s largest city and one of the key financial destinations in the world in less than three hours. The weekly flights are scheduled to run for nine weeks to coincide with the summer holiday season. Tickets are already on sale on the Swiss website, from £190 return. Hial said the new route would both increase destination choice for passengers from the Highlands and bring new visitors into the region. Managing director Inglis Lyon added: “This new summer link with Zurich offers increasing leisure opportunities for Scottish travellers, with over 3,000 seats for sale for the summer period. “The expected increase in Swiss visitors to the Highlands could boost the economy by over £350,000. “The airport is becoming an increasingly viable departure airport for Scottish passengers looking to travel abroad. Where Highlanders would have previously had to book flights from other Scottish airports, they can now start their journey from the Highland capital which is convenient for holiday travel. 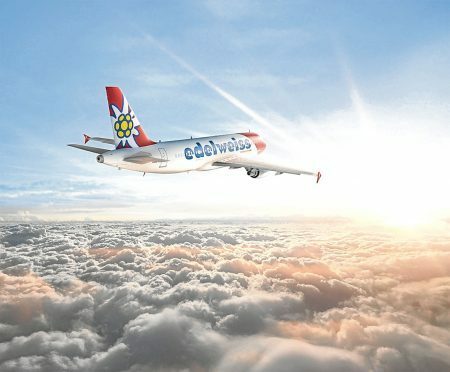 A spokesman for Edelweiss Air said: “We are pleased to be launching the second Edelweiss route to Scotland next summer, with new flights to Inverness Airport adding to the existing service from Edinburgh. Inverness Airport recently posted the highest monthly passenger figures since it opened in 1940, recording more than 93,000 people during July.